Some Web-sites rearrange their documents without leaving a message at the old address pointing to the new one. Therefore I have included a local folder containing the cited reference material and added links pointing from here into that folder. Since some of the contents of the remote document may change over time, the local links represent the reference material as of March 22, 1999. Section B has been written completely in English. It is an enlargement of the one I posted on the Inspecting Iraq section of the CNN Community Board. In addition, citations are in English, starting with the ones from Jack F. Matlock's essay "Russia's Leaking Nukes" in the New York Review of Books. "On February 5, 2003, Secretary of State Colin Powell made a dramatic presentation before the United Nations Security Council, detailing a U.S. bill of particulars alleging that Iraq possessed weapons of mass destruction that threatened not only the Middle East, but the rest of the world. Unbeknownst to the public at the time, a key part of the U.S. case - relating to biological weapons - was based on the direct knowledge of a single agent known as CURVEBALL, whose credibility had previously been cast in serious doubt. ..."
"According to both of the major official U.S. investigations into Iraq's weapons of mass destruction (WMD) programs-by the so-called Silberman-Robb Commission and the Senate Select Committee on Intelligence (Note 4) - Powell based this particular claim on data gathered by the CIA, which in turn relied principally on information it had obtained indirectly from CURVEBALL." Note 4. "Report to the President of the United States" by The Commission on the Intelligence Capabilities of the United States regarding Weapons of Mass Destruction, March 31, 2005; and "Report on the U.S. Intelligence Community's Prewar Intelligence Assessments on IraqÓ by the Senate Select Committee on Intelligence, September 8, 2006. "UN weapons inspectors are poised to return to Iraq, but does Saddam Hussein have any weapons of mass destruction for them to find? The Bush administration insists he still has chemical and biological stockpiles and is well on the way to building a nuclear bomb. Scott Ritter, a former marine officer who spent seven years hunting and destroying Saddam's arsenal, is better placed than most to know the truth. Here, in an exclusive extract from his new book [William Rivers Pitt (Author), Scott Ritter, "War on Iraq: What Team Bush Doesn't Want You To Know", September 25, 2002], he tells William Rivers Pitt why he believes the threat posed by the Iraqi dictator has been overstated. Pitt: Does Iraq have weapons of mass destruction? Ritter: It's not black-and-white, as some in the Bush administration make it appear. There's no doubt that Iraq hasn't fully complied with its disarmament obligations as set forth by the UN security council in its resolution. But on the other hand, since 1998 Iraq has been fundamentally disarmed: 90-95% of Iraq's weapons of mass destruction capability has been verifiably eliminated. This includes all of the factories used to produce chemical, biological and nuclear weapons, and long-range ballistic missiles; the associated equipment of these factories; and the vast majority of the products coming out of these factories." A 3. Constructive Cooperation of Iraq is a Prerequisite - Konstruktive Zusammenarbeit des Irak ist erforderlich. A 4. Jack F. Matlock on "Russia's Leaking Nukes"
A 4.2. No Sufficient Support For US By Other Countries - Andere Länder haben den USA nicht ausreichend beigestanden. B 1.3. Weapon-Grade Nuclear Material Can Easily be Diverted and Carried. - Nukleares Bombenmaterial kann leicht gestohlen und umhergetragen werden. The Memorandum of Understanding signed by UN general secretary Kofi Annan and the Iraqi government on February 23, 1998, favors Iraq to an extent that endangers the safety of the world. Iraq commits itself to cooperate with UNSCOM (UN Special Commision) and IAEA (International Atomic Energy Agency), and to allow inspectors immediate, unconditional and unobstructed access to all sites. UNSCOM will respect Iraq's "sovereignty, security and dignity". Das Abkommen, das UNO-Generalsekretär Annan am 23.2.98 mit der irakischen Regierung geschlossen hat, kommt dem Irak in einer Weise entgegen, die die Sicherheit der Welt gefährdet. Im Abkommen verpflichtet sich der Irak, mit der UNO-Abrüstungs-Kommission und der Internationalen Atom-Energie-Behörde vollständig zusammenzuarbeiten und den Mitarbeitern beider Gremien sofort, bedingungslos und ungehindert Zugang zu allen Anlagen zu gewähren. Das Abkommen hält aber auch fest, daß die für die Inspektionen zuständige Sonderkommission Unscom "die legitimen Belange der nationalen Sicherheit, Souveränität und Würde des Irak respektieren" soll. In his report in "Hintergrund Politik", aired by the German station Deutschlandfunk on March 3, 1998, Holger Mey, Director of the Institute for Strategic Analyses, Zippelstraße 24-26, D-53227 Bonn, pointed out that this Memo provides president Saddam a new opportunity, backed by international law, to limit UN inspectors' access to sites. In seinem Beitrag in "Hintergrund Politik" des Deutschlandfunks am 3.3.98 wies Holger Mey, Direktor des Instituts für Strategische Analysen, Zippelstraße 24-26, D-53227 Bonn, darauf hin, daß die Einschränkungen (siehe 2.) Präsident Saddam eine neue, durch internationales Recht abgesicherte Möglichkeit eröffnet, die Zusage des ungehinderten Zugangs (siehe 1.) nach Belieben einzuschränken. Konstruktive Zusammenarbeit des Irak ist erforderlich . The CWC (Chemical Weapons Convention) stipulates that inspectors must adhere to a defined inspection mandate and conduct themselves with "the least possible inconvenience to the inspected" facility. In the course of a routine or challenge inspection, the inspectors can ask questions and request permission to take photographs or samples. However, any company or individual being inspected has the right to refuse to answer specific questions or allow requested inspection activities if they are deemed to be unreasonable and unrelated to the purpose of the inspection. Alternative means can also be used to satisfy inspectors' requests and provide evidence that a facility is in compliance. "We have been working day and night strenuously for six and a half years," Aziz insisted late last year. "Give us a chance before stampeding another unjust resolution against Iraq." David Kay, Iraqi Inspections: Lessons Learned", Eye on Supply: Feb. 10, 1993, Monterey Institute of International Studies, 1997. Jonathan B. Tucker, "Monitoring And Verification in a Noncooperative Environment: Lessons From the U.N. Experience in Iraq", Monterey Institute of International Studies, The Nonproliferation Review: Spring-Summer 1996, Volume 3 - Number 3. Security Council Responds to Iraqi Intransigence , News Briefs, ARMS CONTROL ASSOCATION, 1726 M Street, N.W., Suite 201, Washington, DC 20036, email: aca@armscontrol.org. On February 13 1998, CNN interviewed Charles Duelfer, the Deputy Chairman of the United Nations Special Commission to Iraq in preparation for IMPACT's March 4 special report: "Inside UNSCOM: The Inspectors' Story." Here are portions of that interview. "After six years, Iraq has not yet come to the conclusion that they are going to give us the access and material that we need, that's why we have this crisis today." "... Iraq itself admitted in writing even that it had been lying, cheating systematically from when we started in 1991 up until this very date in August of 1995." associated munitions and production equipment. Baghdad may also have a small force of SCUD type missiles and the capability to make more. In the nuclear file, Iraq continues "to withhold significant information about enrichment techniques, foreign procurement, weapons design and postwar concealment," suggesting continued interest in nuclear weapons. (Howard Diamond and Erik J. Leklem, "Iraq Strikes New Deal On Inspections at Special Sites", Arms Control Today January/February 1998. Holger Mey quotes an example: Inspectors were kept up at the gate of a building until crates with equipment had been removed from the building by trucks (see also here and here). Holger Mey führt ein Beispiel dafür an: Die Inspektoren mußten vor einem zu kontrollierenden Gebäude warten, bis die am Hinterausgang aus dem Gebäude geschafften Kisten mit Lastwagen abtransportiert worden waren (siehe auch hier und hier). S. Ritter, Endgame, Simon & Schuster, 1999). ... on June 28, 1991 Iraq tried to conceal several calutrons from an IAEA inspection team. The Iraqis transported the giant electromagnets on flatbed trucks from the Nuclear Research Center at Tuwaitha to the military barracks at Abu Ghraib. Although the IAEA team caught a glimpse of the calutrons in transport, they were denied access to the barracks; by the time they were allowed in, the trucks and their secret cargo had vanished. With the aid of U.S. satellite intelligence, however, UNSCOM headquarters in New York was able to track the movement of the trucks to the Military Transport Command facility in Fallujah and conveyed this information to the inspection team through a secure communications link. The IAEA inspectors arrived in Fallujah just as the flatbed trucks were exiting the facility and followed in hot pursuit. In a desperate attempt to force the inspectors to back off, Iraqi soldiers fired warning shots over their heads. Clandestine production of BW is difficult to detect without the help of intelligence (e.g. reports of defectors, spies). Such information is often unsystematic and anecdotal. It is not easy to discover a BW production line, since plants for BW are similar to those for civilian apllications. A vaccine production plant can be turned into plant for BW within a week. An obviously civilian plant can produce BW in interim periods. Monitoring such dual use plants is very demanding and expensive. The shorter the notice prior to inspection, the higher is the probability cleaning up operations are incomplete and inspectors find races of illicit products. In Iraq inspectors have often gained access only after some time. The time between inspections would theoretically suffice to produce BW in relevant quantities. Heimliche Produktion von biologischen Waffen ist ohne nachrichtendienstliche Aktivitäten (z.B. Berichte von übergelaufenem Personal, Spione) schwer zu entdecken. Diese Informationen sind aber häufig unsystematisch und zufällig. Die Absicht, biologische Waffen zu produzieren, kann nicht leicht erkannt werden, weil die Produktionsstätten für friedliche und militärische Zwecke ähnlich sind. Eine Impfstoff-Produktionsstätte kann innerhalb etwa einer Woche in eine militärische umgewandelt werden. Eine offensichtlich zivile Produktionsstätte kann zwischenzeitlich, d.h. für einen kurzen Zeitraum, Material für Waffen herstellen. Überwachung solcher Doppelproduktionstätten ist sehr aufwendig. Je kürzer die Vorwarnzeiten vor einer Inspektion sind, desto größer ist die Wahrscheinlichkeit, daß die Aufräumarbeiten (zum Zweck der Täuschung) unvollständig bleiben und die Inspektoren Spuren von unerlaubter Produktion finden. Während der bisherigen Behinderungen der Inspektoren im Irak reichte die inspektionsfreie Zeit theoretisch dazu aus, militärisch relevante Mengen von biologischen Waffen herzustellen. New York Review of Books, Vol. XLV, Number 2, pp. 15 - 18, 5. Februar 1998, search for Title of Article "Russia's Leaking Nukes"
From 1987 through 1991 J.F. Matlock was US-Ambassador to the Soviet Union. He is now (1998) George F. Kennan Professor (Modern International Relations) at the Institute for Advanced Study in Princeton, USA. J.F. Matlock war 1987 bis 1991 US-Botschafter bei der Sovietunion und ist jetzt George F. Kennan Professor (Modern International Relations) am Institute for Advanced Study in Princeton, USA. Search for more titles written by these authors. Read more about this book. The leakage of weapons-usable nuclear materials from the former Soviet Union is already occurring and could easily get worse. No reality of the post-Cold War international environment constitutes a more direct threat to vital U.S. national security interests than nuclear leakage. The U.S. response to the threat of nuclear leakage through the fall of 1995 has been insufficient. Finally, if the U.S. government is to reduce the threat of nuclear leakage...it must enlarge the political latitude available for pursuing anti-leakage efforts, and must be prepared to devote significantly greater resources to the task. " Europa hat den USA nicht ausreichend beigestanden. Matlock presents a second book on the web site. Both the Bush and Clinton administrations have failed to give the issue the priority it deserves. West Europe and Japan have given inadequate support. But in view of US policy up to now, it is hard to escape the conclusion that the Clinton administration and the United States Congress are both failing in their highest obligation to the American people: to identify the most serious threats to American security and to do everything reasonable to meet them. They seem to be relying on a miracle without asking whether the Almighty will continue to protect those who stubbornly refuse to help themselves. We are convinced Germany should work towards a control of the Iraqi weapons of mass destruction that is more effective than what UN general secretary Kofi Annan has negotiated. Those more efficient controls are in the interest of all states on this planet, i.e also of Iraq. We wish to encourage the reader to write a letter to the German Minister of Foreign Affairs, and perhaps send a copy of it to the President of the U.S. Wir sind der Überzeugung, daß Deutschland sich daher für eine Kontrolle der potentiellen irakischen Massenvernichtungswaffen einsetzen muß, die wirksamer ist, als die von Generalsekretär Annan ausgehandelte. Effiziente Kontrollen sind im Interesse aller Staaten dieser Erde, also auch des Irak. Wir möchten den Leser dazu anregen, ähnlich wie wir einen Brief an den deutschen Außenminister, und vielleicht eine Übersetzung davon an den Präsidenten der Vereinigten Staaten, Bill Clinton, zu schicken. The following examples of weapons that cannot be conceiled from the inspectors have been chosen from the nuclear arsenal. In the 1970's we were scientists affiliated with the Hahn-Meitner-Institute in Berlin, Germany (then called HMI for Nuclear Research]. We were concerned about nuclear proliferation originating from German industry and financially backed by the German Federal Government. We sent an open letter to our foreign minister, H.-D. Genscher, asking him not to undercut the non-proliferation efforts of the US president, Jimmy Carter. About half the employees of the HMI had signed the letter (Blätter für deutsche und internationale Politik 22, "Dokumente zum Zeitgeschehen", Seiten 1156-1157, 1977). Die zunächst (im Abschnitt B 1.) folgenden Beispiele für Waffen, die man auf diese Weise den Inspektoren verheimlichen kann, sind aus dem nuklearen Gebiet gewählt, weil wir uns als Wissenschaftler in den 70'er Jahren im Hahn-Meitner-Institut (damals: für Kernforschung) in Berlin mit der Frage der nuklearen Proliferation (also der unkontrollierten Verbreitung von Nuklearmaterial) befaßt haben -sehr zum Unwillen der Bundesregierung und -von ihr veranlasßt- unter Repressalien der Institutsleitung. Damals hatten wir uns in einem offenen Brief an den deutschen Aussenminister, H.D. Genscher, dagegen ausgesprochen, daß Deutschland die Bemühungen der Administration des jungen US-Präsidenten Jimmy Carter unterlief, der sich für die Begrenzung der Proliferation in die Entwicklungsländer eingesetzt hatte (basierend auf einem Abkommen zur Nichtweiterverbreitung von waffentauglicher Nukleartechnologie, Nuclear Nonproliferation Treaty, NPT). Diesen Brief hatte etwa die Hälfte der Angestellten des Hahn-Meitner-Instituts unterschrieben (Blätter für deutsche und internationale Politik 22, "Dokumente zum Zeitgeschehen", Seiten 1156-1157, 1977). In 1977, when half the employees of our nuclear research center in Berlin asked our foreign minister to at least not financially support the breach of the NPT by German industry (if he feels unable to take legal action against that breach), the Brazilian military government publicly admitted aiming at producing nuclear explosives, but declared them as peaceful. Inspections by the International Atomic Energy Agency were not allowed, as Brazil was not a member of the Nuclear Nonproliferation Treaty (NPT). (In September 1990 Brazil's newly elected president Fernando Collor de Mello closed the nuclear test site and admitted in a speech to the UN General Assembly Brazil's secrete 15 year old nuclear bomb program (in cache)-see also the Federation of American Scientists's Report (PIR), 1990;5.) Disregarding the danger of heating up a nuclear arms race between Brazil and Argentina in the thus far nulear weapons free Latin American continent, the social democratic German government under Helmut Schmidt provided German nuclear suppliers with the necessary financial security backing the selling of an entire nuclear fuel cycle to Brazil (6 - 8 reactors, a reprocessing plant to separate plutonium from used reactor fuel and a uranium enrichment facility (based on a singular German design). German and Brazil government officials subsequently signed the sale's agreement. At the same time, Germany was also a major supplier of nuclear technology to Argentina, which had resolved to stay roughly in step with Brazil and by 1974 had acquired heavy water reactors - the type that India had used to produce its plutonium. "[The newly elected president of the US, Jimmy] Carter had pledged himself to heading off ther German deal with Brazil. And two days after his inauguration, he dispatched Vice President Walter Mondale to Europe with the new administration's message about nuclear proliferation. In Brussels, only four days later, Mondale said that one of the "central themes" would be "stopping the sales of reprocessing plants as those to Brazil an Pakistan" (W.H. Courtney, "Brazil and Argentina: Strategies for American Diplomacy", in Nonproliferation and U.S. Foreign Policy, ed. J.A. Yager (Washington, D.C., Brookings Institution, 1980), p. 380, citing Bernard Weinraub, New York Times, January 25, 1977). In Bonn, he is said to have told Schmidt that Carter "was unalterably opposed to the transfer of the sensitive technologies to Brazil" (ibidem, p. 381). Schmidt stonily replied by noting his commitment to the Non Proliferation Treaty and the suppliers' guidelines [drawn up at a series of secret meetings of the nuclear suppliers' club in London 1974] , but he also restated his commitment to the agreement with Brazil. Carter's high-visibility, high-level initiative had the predictable effect of souring the atmosphere and further complicating intractable problems. Two weeks later, Warren Christopher, Deputy Secretary of State designate, was in Bonn, trying to persuade Schmidt to defer transferring the enrichment and reprocessing materials to Brazil until its reactors had been "safeguarded"
[by the International Atomic Energy Agency, IAEA. IAEA safeguards include inspections, inventories, and regular audits of sensitive materials to ensure that nuclear technology is used for peaceful purposes only. Years later, the case of Iraq has shown that IAEA does not achieve this goal (look with your browser's Find for the paragraph starting with "Let me be clear" in D. Kay, Iraqi Inspections: Lessons Learned. D. Kay was the team leader for three IAEA inspections in Iraq)]. Schmidt again said no. A U.S. mission to Brazil drew a cold, uncompromising reception; the Brazilians made their feelings clear by canceling a military cooperation agreement. .... He [Carter] planned to cut off American aid to any country that detonated a "peaceful nuclear explosion". He wanted a voice in decisions involving an American client-country's other nuclear exchanges. And he wanted to be able to rule on whether a client-country could develop its own plutonium separation capability (M. Nacht, "Controlling Nuclear Proliferation", in The Eagle Entangled: U.S. Foreign Policy in a Complex World (New York: Longman, 1970), ed. K. Oye, D. Rothchild, and R. Lizber, p. 157)." cited from J. Newhouse, "War and Peace in the Nuclear Age", A.A. Knopf, New York, 1989, p. 274 - 275. Text in [ ] added by J. Gruber. as a member of the research staff of Princeton UniversityÕs Center for Energy and Environmental Studies. the International Atomic Energy Agency. Albright holds a Masters of Science in physics from Indiana University and a Masters of Science in mathematics from Wright State University. In addition to the Outstanding Alumni Award, Albright also received an Honorary Doctorate of Humane Letters from Wright State University in 2007.
provided members of the Brazilian parliament and Physical Society with the necessary technical expertise. Many of these efforts helped to build a political climate more conducive to the implementation of bilateral and international safeguards. Brazil's deal with West Germany gradually fell apart of its own weight. The Brazilians couldn't afford the reactors and never managed to make the German-design enrichment technology work for them. ... Brazil and Argentina still refuse to sign the NPT, and in either country an immoderate regime could doubtless acquire the weapons option. Finally, in September 1990, when -before the UN General Assembly- Brazil publicly revealed and revoked its nuclear weapons ambitions, the German government (under the Christian and Free Democrats, Chancellor Helmut Kohl) announced that "current and future" nuclear exports would be approved only if full-scope safeguards were in effect in the recipient country. Internationally, Germany has been continuously blamed of proliferating weapons-grade technology. The case for Iraq has been documented by The Center for Nonproliferation Studies, Monterey Institute of International Studies, California, USA and summarized below. Source of photograph: Alan Lightman, "Megaton Man", New York Review of Books 69, 9:34-37 (May 23, 2002) The SANDIA Laboratory Science Museum in Albuquerque, New Mexico, USA, shows a hydrogen bomb having a yield of approximately 1 megaton TNT. It has a diameter between 1/2 and 1 meter and has a length between a bicycle and a compact car. The hydrogen bomb on the left that Edward Teller puts his arm on, has a yield of 100 megatons. Im Museum des US-amerikanischen Waffenlabors SANDIA in Albuquerque, New Mexico, USA ist eine Wasserstoffbombe von der Stärke etwa einer Megatonne TNT ausgestellt. Sie hat einen Durchmesser von 1/2 bis einem Meter und ist nicht länger als ein Kleinwagen. Die nebenstehende Wasserstoffbombe hat eine Stärke von 100 Megatonnen. Frequently Asked Question #7.How big and heavy is a nuclear weapon?. Effects of Nuclear Explosions, click on "Nuclear Weapons Frequently Asked Questions (NWFAQ)" (see also General Questions about Nuclear Weapons from the "Sandia Open Database"). B 1.2. Suitcase-Sized Bombs Disappeared Into The International Weapons Market - Nukleare Kofferbomben sind in den internationalen Waffenmarkt verschwunden. There are suitcase size nuclear bombs. Of these more than 100 have disappeared from the depots of the Russian military. Es gibt koffergroße Nuklearbomben. Davon sind mehr als hundert aus den Depots des russischen Militärs verschwunden. In September (1997), General Alexander Lebed, the defeated presidential candidate who was briefly the head of Russia's Security Council, said in a television interview that more than a hundred suitcase-sized nuclear bombs were missing from Russian military inventories. Lebed has stood by his statement, however, and his charges have been backed by a former advisor to President Yeltsin, Aleksey Yablokov, who told a US Congressional subcommittee on 2 October 1997 that he was "absolutely sure" that such ADMs (small atomic demolition munitions) had been ordered in the 1970s by the KGB (CNS-Report: "Are Suitcase Nukes on the Loose?"). Obviously, it is a question of finances, whether or not president Saddam can afford such physically small weapons of mass destruction as soon as they appear on the weapons market. Es ist offensichtlich im wesentlichen eine finanzielle Frage, ob sich Präsident Saddam solche von den Abmessungenen her kleine Massenvernichtungswaffen leisten kann, wenn sie auf dem Waffenmarkt erscheinen. B 1.3. Weapon-Grade Nuclear Material Can Easily be Diverted and Carried and is cheap. - Nukleares Bombenmaterial kann leicht gestohlen und umhergetragen werden und ist billg. (Note: A rough order of magnitude estimation of the price for the HEU necessary for a Hiroshima size bomb arrives at $ 6000. Iraq possesses an implosion technology that allows her to ignite a Hiroshima size bomb. (D. Kay, Iraqi inspections: lessons learned, talk given for the Program of Nonproliferation Studies at the Monterey Institute of International Studies on February 10, 1993, CNS Special Collection on the Iraqi Crisis). (Anmerkung: Eine grobe Größenabschätzung des Preises für die Menge des hochangereicherten Urans, das man für eine Hiroshima-Bombe braucht, kommt auf 6000 Dollar. Irak hat eine weit vorangeschrittene Implosionstechnologie entwickelt, die eine 20 kt TNT Nuklearbombe (Hiroshima-Stärke) zünden kann (D. Kay, Iraqi inspections: lessons learned, talk given for the Program of Nonproliferation Studies at the Monterey Institute of International Studies on February 10, 1993, CNS Special Collection on the Iraqi Crisis). Furthermore, leakage of fissile materials can be almost as dangerous as diversion of the weapons themselves. Even if we accept official assurances that nuclear weapons are adequately protected, we would have no basis for assuming that stocks of highly enriched uranium (HEU) and plutonium receive comparable protection. Question: What is the technical effort and the time necessary to produce/handle nuclear weapons, and could such an effort can be concealed from inspectors? On the one hand, the recipe for the construction of a moderately sized nuclear bomb is available in the literature. On the other hand, production of nuclear weapons material needs a major technological and time effort: running a military reactor, building and running an isotope separation plant, possibly a reprocessing plant, radiation shielding. That has been suppressed by International Atomic Energy Agency inspections. "The Internet and the Bomb: A Research Guide to Policy and Information about Nuclear Weapons, by William M. Arkin and Robert S. Norris, National Research Defense Council, Washington, DC, May 1997. John McPhee: "The Curve of Binding Energy", Farrar, Strauss and Giroux, New York, 1974. M. Willrich and T.B. Taylor: "Nuclear Theft: Risks and Safequards", Bollinger Publishing Co., Cambridge, MA, 1974. F. Dyson: "Disturbing the Universe", Chapter 14, Harper & Row, 1981. Proliferation can give Iraq immediate access to nuclear material, if Saddam can pay for it. The material can either be "suitcase bombs" or weapon-grade uranium and plutonium . Handling weapon-grade material is simple, since, apart from a non-hazardous weak halo of neutrons, it emits alpha-radiation which can be shielded by wrapping the material in aluminum foil. Graham T. Allison, Owen R. Cote, Jr., Richard A. Falkenrath, and Steven E.Miller:" Avoiding Nuclear Anarchy: Containing the Threat of Loose Russian Nuclear Weapons and Fissile Material", 292 pages, $16.00 (paperback), MIT Press, 1996. Peter Montague: "The Fourth Horseman: Nuclear Technology", RACHEL'S ENVIRONMENT & HEALTH WEEKLY 473, Environmental Research Foundation, 1995. Question: What is the technical effort and the time necessary to produce biological weapons, and could such an effort be concealed from inspectors? Geneva - Last Fall (1997 ?, J. Gruber), when Iraqi leader Saddam Hussein blocked UN Special Commission inspectors hot on the trail of Iraq's biological weapons program, the United States responded by deploying two carrier battle groups to the region and urging the Security Council to stand firm in support of the 1991 cease-fire resolution. However, a new report says that Washington risks losing a crucial opportunity to strengthen front line defenses against the proliferation of biological weapons - the Biological Weapons Convention. President Bill Clinton has called for the conclusion of a verification protocol for the Convention by 1998, but the U.S. delegation still did not have a detailed negotiating position when talks resumed on January 5th in Geneva. What's New at the Chemical and Biological Weapons Nonproliferation Project? Producing and concealing biological weapons seems to be cheap and easy. "... important differences between chemical and biological weapons limit the applicability of Chemical Weapons Convention (CWC) verification measures to the Biological Weapons Convention (BWC). The fact that certain microbial and toxin agents are highly potent per unit weight means that a militarily significant quantity is measured in kilograms, compared with tons for chemical nerve agents. Moreover, whereas production of a chemical arsenal requires a fairly large industrial plant, a stockpile of biological or toxin agents could be produced to order in a pilot-scale factory over a period of weeks. For theses reasons, the threshold for militarily significant cheating, or "treaty breakout", is considerably lower for the BWC than for the CWC. Finally, the ambiguities between offensive and defensive research on infectious agents and the lack of well-defined indicators of biological or toxin production make it more difficult to distinguish between "treaty-prohibited" and "treaty-permitted" activities at dual-capable biological facilities. For this reason, assessing intent is as important as physical evidence in determining BWC compliance. Table 3 describes the differences between chemical and biological weapns and shows where these differences complicate BWC compliannce monitoring." Man Versus Microbe: The Negotiations to Strengthen the Biological Weapons Convention, an examination of the obstacles facing the negotiations to bolster the BWC and recommendations for progress by Dr. Amy E. Smithson of the Stimson Center. When states claim they do not have nor do they produce biological weapons, efficient verification of that statement seems not possible. You can find a more detailed statement in Tab. 3 of Dr. Tucker's report. "The shorter the advance warning prior to a challenge inspection of a suspected biological-weapon production facility, the greater the probability that clean-up will be incomplete and the inspectors will detect traces of illicit agents. " Biological weapons are the "poor man's weapons of mass destruction". Therefore key states are hesitant to agree to a ban and effective enforcement of the ban (p. 7, Ch. 1 of above mentioned Report). The time delays forced onto the inspections by Iraq have been sufficiently large to enable Iraq to produce military relevant quantities of biological weapons. The newly scheduled inspections will not be able to find out whether or not Iraq has used this opportunity. CNN reported that Iraq had bought (and inspectors found) some 34 tons of a growth medium, of which she needed an order of magnitude less for protein production. Could that growth medium be used to grow Anthrax? Military significant quantities of agent can be produced to order in a few days or weeks, obviating the need for long-term storage. (Tab. 3, Dr. Tucker's report). In a November 5 letter to the Security Council's president, Qin Huasan of China, UNSCOM Executive Chairman Richard Butler complained of Iraq's blockage of inspections and its moving of dual use items away from the view of UNSCOM monitoring cameras during the standoff. Butler warned the council that, in the absence of inspections, it would take Iraq "only a matter of hours to adapt fermenters to produce seed stocks of biological warfare agent." (Erik J. Leklem, "Iraqi BW Program May Be Key to Standoff with UN". The basic doubling times (times between one generation and the next, depend on the type of bacterium) of the corresponding bacteria lie around a few (near 4) hours, i.e. one can produce one million bacteria from one or two bacteria in around 20 days. Multiplication by one million would be the order of magnitude necessary for producing weapons quantities (less than tens of kilograms - Tab. 3, Dr. Tucker's report). Is the doubling time similar when you increase the size of the production device from test tube to barrel or field plot (with some hundred kilograms of growth medium)? Military significant production of biological and toxin agents in small-scale facilities may elude detection. Stockpiles may also be small enough to permit easy concealment. (Tab. 3, Dr. Tucker's report). Based on this, could Iraq hide a military relevant bio-production plant from inspections? Fermentation equipment used to make vaccines, antibiotics, and other legitimate products can be converted to production of warfare agents. ... Conversion of a vaccine plant to biological agent production would take about a week, or periodic production could occur in an ostensibly civilian facility (Tab. 3 of Dr. Tucker's report). Could Iraq delay inspections in the usual manner and get a relevant amount of bacteria ready while inspectors are waiting outside the restricted complex for clearance from UN or the international community? Inspectors have had to wait at the front entrance while noticing people (Iraqis?) removing crates and boxes via the back exit onto a truck. They were allowed access after the truck had left. If a relevant plant needs to be too large to escape inpectors' notice, would "cascading plants" be feasable, meaning: Once ready, could the hazardous amount simply be divided into subquantities, each shipped to some other location in the next restricted complex and then be used to continue multiplying bacteria, again with inspectors and international community being entangled in diplomatic discussions? Statement by the President on December 16, 1998. Coalition Partners are Argentina, Australia, Belgium, Canada, Czech Republic, Denmark, Estonia, Hungary, Kuwait, Latvia, Lithuania, Netherlands, New Zealand, Norway, Poland, Romania, Senegal, and the United Kingdom. Germany is not a partner. Non Proliferation of Nuclear Weapons. Jim Lehrer Newshour Inspecting The Deal, Febr. 25, 1998.
most lethal stockpiles of biological weapons. The washingtonpost.com team identified past and present activities at Iraqi sites by cross-referencing information from reports by the United Nations Special Commission (UNSCOM) and International Atomic Energy Agency (IAEA) arms inspectors, Congressional Research Service reports, Los Alamos National Laboratories, the CIA's Iraqi Weapons of Mass Destruction Programs report released February 13, 1998, and reporting by Washington Post writers R. Jeffrey Smith, Barton Gellman, John Mintz and others. Iraq Cooperating on Inspections, by Barton Gellman, March 20, 1998; Page A27. Russia Challenged To Disclose Status of Biological Weapons, by David Hoffman, February 26, 1998; Page A17. Ambassador Rolf Ekeus: Leaving Behind the UNSCOM Legacy in Iraq. Spurgeon M. Keeny, Jr., "Give Diplomacy a Chance", Arms Control Today, January/February 1998. Howard Diamond, "UNSCOM Head Says Iraq Has `Operational' Missile Force". The Corporation supports work to develop an international security strategy based on principles of cooperation, integration, and transparency. Primary emphasis is placed on encouraging more robust efforts by the United States, Russia, and other nations to curb the spread of advanced weaponry and weapons technology. Barry Rosenberg and Avery Russell, HEADING OFF A NEW NUCLEAR NIGHTMARE: Illicit Trade in Nuclear Materials, Technology, and Know-How, Carnegie Quarterly, Spring/Summer 1996, Carnegie Corporation of New York, 437 Madison Avenue, New York, New York 10022. The Carnegie Endowment for International Peace was established in 1910 in Washington, D.C., with a gift from Andrew Carnegie. As a tax-exempt operating (not grant-making) foundation, the Endowment conducts programs of research, discussion, publication, and education in international affairs and U.S. foreign policy. The Endowment publishes the quarterly magazine, FOREIGN POLICY. Carnegie's senior associates - whose backgrounds include government, journalism, law, academia, and public affairs - bring to their work substantial first-hand experience in foreign policy. Through writing, public and media appearances, study groups, and conferences, Carnegie associates seek to invigorate and extend both expert and public discussion on a wide range of international issues. These include worldwide migration, nuclear non-proliferation, regional conflicts, multilateralism, democracy-building, and the use of force. The Endowment also engages in and encourages projects designed to foster innovative contributions in international affairs. The Non-Proliferation Project serves as an independent source of information and analysis on nuclear affairs and conducts a wide array of professional and public-education activities promoting international efforts to curb the spread of nuclear arms. In Washington, the Project's ongoing program of research, analysis, and commentary includes two major survey publications: Tracking Nuclear Proliferation, a book-length periodic review of the global spread of nuclear arms, and Nuclear Successor States of the Soviet Union: Nuclear Weapon and Sensitive Export Status Report, a semi-annual report on nuclear controls and disarmament in the former Soviet Union (prepared in cooperation with the Monterey Institute of International Studies). The Federation of American Scientists is engaged in analysis and advocacy on science, technology and public policy for global security. A privately-funded non-profit policy organization whose Board of Sponsors includes over 55 American Nobel Laureates, FAS was founded as the Federation of Atomic Scientists in 1945 by members of the Manhattan Project who produced the first atomic bomb. The Federation of American Scientists conducts analysis and advocacy on science, technology and public policy, including nuclear weapons, arms sales, biological hazards, secrecy, and space policy. FAS is a privately-funded non-profit policy organization whose Board of Sponsors includes half of America's living Nobel Laureates. FAS was founded as the Federation of Atomic Scientists in 1945 by members of the Manhattan Project who produced the first atomic bomb, to address the implications and dangers of the nuclear age. FAS is the oldest organization dedicated to ending the arms race and avoiding the use of nuclear weapons, and much of its work has been in nuclear arms control and disarmament. In addition, throughout its history FAS publications and projects have addressed a wide range of science and society issues, including those of population, energy, agriculture, medical care, and ethnic conflict (in countries such as Cambodia, Peru and Yugoslavia (see also research on Yugoslavia by the US Institute of Peace). FAS combines the scholarly resources of its scientists, including 41 Nobel laureates, with a knowledge of practical politics. As a non-profit organization licensed to lobby in the public interest, FAS is uniquely qualified to bring the scientific perspective to the legislative arena through direct lobbying, membership and grassroots work, and expert testimony at Congressional hearings. FAS is administered by its President, Jeremy J. Stone who also serves as a senior staff member and director of research. The Federation's primary publication is the F.A.S. Public Interest Report. The FAS Fund, the Federation's tax deductable arm, is a publicly supported foundation under IRS section 509a3 and tax-deductable under 501c3 working for FAS, which is a 501c4 civic organization. The FAS Fund engages in research analysis and public education on a broad range of science, technology, and public policy issues. Dr. Stone is also President of the FAS Fund. Currently, his primary endeavor is developing new FAS projects devoted to global security generally to complement existing FAS work in peace and national security. As it enters its second half century FAS is expanding the scope of its activities, with new projects being organized involving agriculture, medicine and a range of other issues. Our strategic partners include U.S. Newswire which provides media support, our primary computer consultant Randy Winn ClarkNet where this website is hosted, and The Institute for Global Communications (IGC) Peacenet, which also provides us Internet access services. The Federation of American Scientists is located on Capitol Hill, two blocks away from the United States Senate office buildings. David Albright and Mark Hibbs "Iraq's nuclear hide-and-seek, Bulletin of the Atomic Scientists, Vol. 47, No.7, September 1991. Documentation about making queries is available. The Center for Nonproliferation Studies of the Monterey Institute of International Studies is the world's largest non-governmental organization devoted to combating the spread of weapons of mass destruction. With a full-time staff of more than 35 specialists located in Monterey and Washington, the Center's six research programs examine all aspects of nonproliferation, publish online databases, and train graduate students. The Center also publishes The Nonproliferation Review, a journal featuring the latest research on nonproliferation. Scott Parrish, "Are Suitcase Nukes on the Loose? The Story Behind the Controversy". Special Collection on the Iraq Crisis. Should This Killer Be Put to Death?, The Washington Post, November 30, 1998; Page A25. Hide-and-Seek, Iraqi Style, New York Times, Nov. 22, 1997. "Experts: Iraq weapons crude, dangerous", USA Today, Feb 19., 1998. "Monitoring And Verification in a Noncooperative Environment: Lessons From the U.N. Experience in Iraq", Monterey Institute of International Studies, The Nonproliferation Review: Spring-Summer 1996, Volume 3 - Number 3. Intrusive on-site access is a necessary but not sufficient condition for obtaining evidence of noncompliance. Short-notice inspections can increase the likelihood that a violator will make mistakes and leave behind telltale indicators of illicit activity. The combined use of various monitoring tools (e.g. overhead surveillance, monitoring trade flows, visual inspection, and sampling and analysis) can yield valuable synergies. An effective way to investigate clandestine WMD programs s to identivy and interrogate key managerial and technical personnel. Only on eagency should be asigned all aspects of an international inspection regime. Effective verification cannot be based on periodic on-site inspections alone, but requires the integration of data from a wide variety of sources to monito patterns of host-country activity over an extended period of time. In the future, the task of verifying nonproliferation treaties and drawing compliance judgments will grow more difficult as technologies capable of supporting deception and denial efforts become more widely available." NUCLEAR LEAKAGE FROM THE POST-SOVIET STATES. World Wide Web Sites on the ICrisis. Weapons of Mass Destruction in the Middle East. Founded in 1981, NCI is a research and advocacy center for preventing nuclear proliferation. Non-profit and non-partisan, we play a watchdog role in a complex and dangerous field. Active both at home and abroad, we engage government and industry officials, public-interest organizations and the media in our work. seeks to address four basic contributors to the spread of nuclear weapons: the growing presence of atom-bomb materials in civilian nuclear power and research programs; behavior of the nuclear-weapon states that stimulates or facilitates other states to go nuclear; loopholes in U.S. nuclear-export laws and international nuclear agreements, and tensions that drive regional rivals to acquire nuclear weapons. In particular, we focus on the urgency of eliminating weapons-usable materials, plutonium and highly enriched uranium, from civilian nuclear programs. "NTI's mission is to strengthen global security by reducing the risk of use and preventing the spread of nuclear, biological and chemical weapons. NTI seeks to raise public awareness, serve as a catalyst for new thinking and take direct action to reduce these threats. Since governments have most of the resources and authority in addressing the threats from nuclear, biological and chemical weapons, it is not just what NTI can do directly to reduce threats that matters -- it's also what NTI can persuade others to do. That's why NTI's focus is on leverage. By combining its influential voice with direct action projects that show the way, NTI has motivated governments and private organizations to invest additional resources and take additional action to increase global security." The Henry L. Stimson Center is a nonprofit, nonpartisan institution devoted to public policy research. The center concentrates on particularly difficult national and international security issues where policy, technology, and politics intersect. 1997-98 Projects on Nuclear Weapons Policy. Chemical Weapons Convention: Will Congress, Clinton Weaken CWC Verification? The CWC has already begun to place controls on previously secret chemical warfare programs. Those who are concerned about proper treaty compliance would be wise to give the CWC's inspectors the tools they need to do their job better. The CWC's Technical Secretariat will be forced to halt inspections this month unless the United States pays its assessment. The amount of money involved - under $12 million - is minuscule in comparison to other US defense expenditures, but is essential to the CWC's near-term viability. The executive branch has so far failed to fork over US dues, even though these funds have been duly authorized and appropriated by the Congress. This delay is inexcusable. The W. Alton Jones Foundation is a private grantmaking foundation focusing on global environmental protection and the prevention of nuclear war or other massive release of radioactive material. Alphabetical Listing of Grantee Web Sites. Milhollin G, Building Saddam Hussein's Bomb, The New York Times Magazine, March 8, 1992, p. 30., Wisconsin Project on Nuclear Armament Control. In the five years before the Persian Gulf war, for example, the Commerce Department licensed more than $1.5 billion of strategically sensitive American exports to Iraq. Many were for direct delivery to nuclear weapon, chemical weapon and missile sites. Companies like Hewlett-Packard, Honeywell, International Computer Systems, Rockwell and Tektronix sold high-performance electronics either to Saad 16, Iraq's major missile research center; to the Ministry of Industry and Military Industrialization, which set up Al Atheer; to the Iraqi Atomic Energy Commission, responsible for atomic-bomb research; or to Nasr State Enterprise, in charge of Iraq's missile and nuclear procurement. Honeywell even did a feasibility study for a powerful gasoline bomb warhead, intended for an Iraqi-Egyptian missile. As bad as the American record is, Germany's is worse. Germany supplied more of Iraq's mass-destruction machinery than all other countries combined. Germany not only sold Iraq most of its centrifuge equipment, it also furnished an entire chemical weapon industry and was Iraq's greatest supplier of missile technology, including a flood of parts that enabled Iraq to extend the range of its Scud missiles. During the Persian Gulf war, enhanced Scuds hit Tel Aviv and a United States Army barracks in Saudi Arabia, killing 28 sleeping soldiers. To develop an even longer-range missile, Iraq turned to the German armament giant Messerschmitt, now doing business as MBB (Messerschmitt-Bölkow-Blohm). 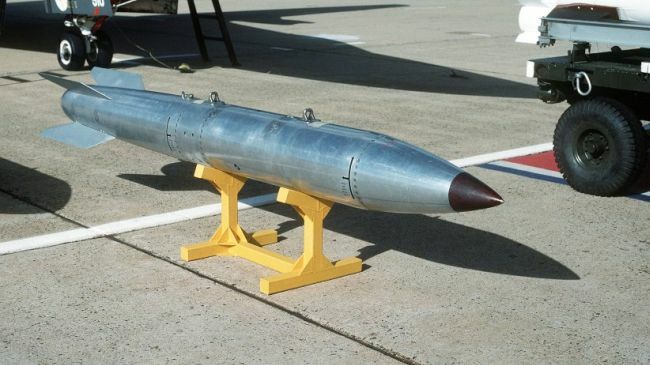 MBB supplied the know-how for a 600-mile nuclear-capable missile called the Condor II that Iraq tried to develop jointly with Egypt and Argentina before the war. The missile's range and configuration are similar to that of the American Pershing, which MBB worked on at the Pentagon. The same MBB employee who worked on the Pershing at the Pentagon also represented MBB in Iraq for the Condor, and thus was in a position tn transfer American missile technology to Baghdad. ... Also associated with these missiles and related developments is the import, which has been taking place during the last few years, of a number of items despite the sanctions, including as late as December 2002. Foremost amongst these is the import of 380 rocket engines which may be used for the Al Samoud 2. Einzelheiten recherchiert von Report München. [In 1992] German authorities have begun investigating possible violations of export control laws by several German firms. In 4/92, 27 supplier countries agreed to strengthen the rules for transfer of sophisticated dual-item technology (Michael Wise, The Washington Post, 5/19/92, P. A15). ... Foreign individuals driven by a profit motive provided key know-how to Iraq. To limit such participation in the future, the FRG recently  approved "citizens participation" laws that make it illegal for German citizens to take part in potential proliferation countries' nuclear weapons program (David Albright, Mark Hibbs, Arms Control Today, 7-8/92, PP. 3-11). Source of the following compilation is from the CNS Database of the CNS SPECIAL COLLECTION ON THE IRAQ CRISIS (local link)), as excerpted in their "Iraqi Nuclear Abstracts" and "Iraqi Missile Abstracts", published by The Center for Nonproliferation Studies, Monterey Institute of International Studies, California, USA. Source: The Iraqi Nuclear Abstracts 1991 ... 1998. Probable range of proliferation: uranium enrichment technology applicable to the production of weapons-grade uranium, advanced reactors and energy systems-plant operation. The Sauer Informatic GmbH: (managed by Klaus Murmann) exported a DM 10-million computer plant to Iraq for the Saad 16 project. 1997 (UN inspections indicate a leak from U to Iraq). In 1992, IAEA said they had "no information" suggesting that the German firm Maschinenfabrik Augsburg-Nürnberg AG (MAN) had supplied Iraq with carbon fiber rotors [for ultracentrifuges] or carbon fiber winding machines, yet the German officials say the rotor design Iraq obtained has "MAN's fingerprints" all over it. MAN supplies centrifuge rotors to Urenco. The IAEA is investigating the origin of 20 rotors Iraq said it received in the late 1980's. 1992, Germany gave the IAEA information on 5 firms suspected of adding to Iraq's centrifuge development; the firms' names will not be released. Inwako GmbH delivered about 125 Aluminium Nickel Cobalt (AlNiCo) ring magnets for use as top magnetic suspension bearings for ultracentrifuge rotors (IAEA information, 1992). Iraq enriched uranium to weapons-grade, i.e. separated the (lighter) uranium isotope needed in weapons from the remaining (heavier) uranium isotopes, by employing all established technical processes. In the gas ultracentrifuge a gaseous chemical compount of uranium is spun around by mechanical forces. Because of the low efficiency of a single ultracentrifuge, this process needs a cascade of a very large number of such centrifuges. In the calutrons the ions are spun around by electromagnetic forces. The calutron was the major uranium enrichment device in Iraq. Cal-u-tron is an acronym composed from the words California -the device, a synchrotron, was invented by Ernest O. Lawrence in Berkeley (California), uranium and synchrotron. The latter is basically an electrical capacitor. The electrical field between its entrance and exit plate accelerates the ions. Magnets bend the ion path to a circle, thus forcing the accelated ions leaving the capacitor's exit plate back through its entrance plate. This way, the ions are accelerated again and again. This old, expensive, energy-intensive technology was developed in World War II in the US and produced the weapons-grade uranium for the Hiroshima bomb (local link). Source:The Iraqi Missile Abstracts 1991 ... 1998. Missile component trade with Iraq violates a UN embargo and German export laws. portions of launch vehicles were of German origin. an electrical switch control board manufactured by Polyma. launchers were located containing parts manufactured by Mercedes Benz. The German embassy had denied this in early 1991. Iraqi Embassy worked with Germany to purchase new European military technology, said Vafik Samari in 1998, a former Iraqi military intelligence agent who defected to the West. 16 German companies allegedly under German investigation for illegal exports of nuclear and Scud missile technology, according to Washington Times, 1997. Since 1990, firms in Germany have supplied Iraq with advanced machine tools and trade continues, said UN officials in 1995. German and Saudi inspectors confiscated over 100 barrels of ammonium perchlorate from a German-registered ship in 1993, a component for solid-fuel long range ballistic missiles. CNC (computer numerical control) machine tools and a liquid nitrogen plant operate under German licence as UN seeks to stop production of conventional arms in 1992. Argentina delivered Condor II "elements" to Iraq through Egypt prior to the 1991 Gulf War. "There has not been any transfer of Argentinean technology to Iraq, as the technology in question was fundamentally German", said Argentine defense minister Oscar Camilion in 1993. German technicians had worked on Condor II in Argentina. Condor missile, a more modern European version of Iraq's aging Scud missile, basically the old German V-2 rocket. The Condor is capable of carrying a 500kg payload and hitting targets in Israel and several NATO countries (range 1000 km). Task Force on Terrorism and Unconventional Warfare of the US House of Representatives states Iraq builds chemical weapons plant in Libya, hides 400 Suds in Sudan and material for nuclear weapons in Iraq. No serious evidence that German companies are involved in this, German Federal Economics Ministry says 1998 (based on BND report among others). One of company's technical directors is member of the BND, said CIA and Mossad in 1998. In 1998 Concen has almost completed the Condor missile. The company was a major contributor of technology, machine tools, and specialized equipment to Iraq's missile and nuclear programs, centrifuge deals being only small part, said Bruno Stemmler in 1993, former employee of MAN Technologies and Dornier. supplying Iraq with 27,436 individual parts for Scud-B missiles and a range of machinery for the production of artillery rockets, all valued at 46 million German marks in 1988 - 1990,.
attempting to convey information on technology and production of weapons-grade uranium by means of the gas ultracentrifuge process. Company also is suspected to have gotten computer numerically controlled (CNC) machines from the German firm Neue Magdeburger Werkzeugmachinenfabrik GmbH to send to Iraq. In late 1991 IAEA inspectors found the CNC machines in Iraq; they were used with computer programs from another firm to produce centrifuge parts such as end caps. Iraq could not have developed the programs alone. Maho's, SHW's, Dorries' and Hauser's are manufacturers of dual use machine tools with known nuclear end use found by International Atomic Energy Agency inspectors in Iraq's Al Rabiya plant. They are relevant in the production of calutrons and centrifuges. Iraq's military-industrial infrastructure is mostly composed of dual use equipment that can produce everything from chemical and nuclear weapons to long-range missiles. 1994, owner Anton Eyerle, Walter Dittel, both German nationals, and Subramanian Venkataramanan, an Indian citizen, jailed for up to 5 1/2 years because of his firm's continued delivery of missile components to Iraq before 1991, enough ignition systems for Styx and Scud missiles "to wipe out the entire Middle East. ", German judge said. "By exporting such war weapons to a war and crisis zone, the defendants caused considerable international attention to be focused on the Federal Republic of Germany and thereby made it more difficult for the FRG to realize its foreign policy goals. Such exports also served to support Iraq in its war efforts directed against the peoples of the Middle East, "said the district attorney. Company illegally reverse-engineered (copied) and sold components for the Russian-made ship-to-ship Styx missile and Scud-missile. 240,000 ferrite and 10,000 ringband cores and a complete stator (the part into which the cores are placed) for approx. 10,000 ultracentrifuges. These gas centrifuges are used to enrich uranium to weapon-grade quality. 50 tons of high-quality graphite (0.3 million German Mark) suitable for electromagnetic uranium enrichment equipment and missile use (for other nuclear use of graphite, use your browser's Find to look for "graphite" in Iraq Inspections: Lessons Learned). Company's technologies helped Iraq increase Soviet Scud-missiles' range (total sales 2.1 million German mark). Illegal sales totaled an estimated 30 million German mark (local link). Telemit Electronic GmbH of Munich: The company possibly employs BND agents suspected of equipping Iraq, Libya with miltary electronics, said CIA, Mossad in 1998. Company possibly employs BND agents suspected of equipping Iraq, Libya with miltary electronics, said CIA, Mossad in 1998. Iraq's State Establishment for Pesticide Production (SEPP) ordered incubators and culture media from Germany's Water Engineering Trading (W.E.T.) (Source: "We Have Surprises", Der Spiegel, October 8, 1990, p. 148-152; in FBIS-WEU-90-196, (10 October 1990)). According to UN officials, the German firm knew the fermentor it supplied would be used in Iraq biological weapons program. R. Jeffery Smith, "Iraq's Drive for a Biological Arsenal; U.N. Pursuing 25 Germ Warheads It Believes Are Still Loaded with Deadly Toxin," Washington Post, November 21, 1997, p. A1. In 2/87, Germany's Sigma Chemie supplied seven ounces of trichothecene mycotoxin, including T-2 toxin and HT-2 toxin, to the German firm Plato Kuehn, which indicated that the material would be exported to Iraq (Source: "W. German Firm Says Toxic Chemicals Went to Iraq," Reuters, January 30, 1989. "Magazine: German Firms Supplied Toxic Chemicals to Iraq," UPI, January 29, 1989). In 1987, Josef Kuhn of Germany delivered 100 milligrams of trichothecene mycotoxin T-2 to Iraq (Source: "Worse Than Plague," Der Spiegel; in "Der Spiegel on German Arms Sales to Iraq Ü ïWorse Than the Plague'," Telegram from the US Embassy in Bonn to the Secretary of State, August 16, 1990 (Released December 16, 1996)). A chemical plant which the US says is a key component in Iraq's chemical warfare arsenal was secretly built by German/British firm Uhde Ltd in 1985 behind the backs of the Americans, the Guardian can disclose. Uhde Ltd's parent company in Dortmund, Germany, issued a statement confirming that their then UK subsidiary had built £14 million plant, called Falluja 2, for Iraq's chemical weapons procurement agency, the State Enterprise for Pesticide Production. After more than six years as the executive chairman of the UN Special Commission on Iraq (UNSCOM), Ambassador Rolf Ekeus is stepping down to become Sweden's ambassador to the United States. As the United Nations' chief weapons inspector in Iraq, Ekeus has led the international effort to eliminate Baghdad's nuclear, biological and chemical weapons programs and proscribed ballistic missile activities since UNSCOM was established by the UN Security Council in April 1991. Ekeus has also directed UNSCOM's program to implement a monitoring system to prevent Iraq from reacquiring any such capabilities in the future. As Ekeus was preparing to turn over the reins of UNSCOM to his successor, Ambassador Richard Butler of Australia, on July 1, Arms Control Today caught up with the Swedish diplomat to ask him about his tenure at UNSCOM and the agency's accomplishments. During his distinguished diplomatic career, Ekeus has played a major role in a number of disarmament negotiations. Among his assignments, from 1978 to 1983 Ekeus was Sweden's permanent representative to the Conference on Disarmament in Geneva. In 1984 and 1987, he chaired the UN Committee on Chemical Weapons, and in 1985 he chaired the Drafting Committee at the nuclear NonProliferation Treaty Review Conference. In 1996, Ekeus was a member of the Canberra Commission on the Elimination of Nuclear Weapons. He is expected to take up his new post in Washington on September 12. Der von den UN mit dem Irak ausgehandelte Vertrag zur Kontrolle der Rüstung im Irak läßt Präsident Saddam Hussein weiterhin die Möglichkeit, die Inspektoren schwer zu behindern und Massenvernichtungswaffen zu entwickeln. Andere Staatsführungen mit ähnlichen Ambitionen, wie wir sie bei Präsident Saddam erkennen, könnten dadurch zu ähnlichen Schritten ermuntert werden. Wirksame Kontrollen dieser Waffen sind jedoch im Interesse aller Staaten dieser Erde, also auch des Irak. Bei der entschlosseneren Auseinandersetzung mit dieser Problematik der Entwicklung und Proliferation von Massenvernichtungswaffen sollte, so meinen wir, Deutschland nicht nur wie bisher die im Hinblick auf die Krise im Irak gebildete internationale Koalition unterstützen, sondern -wenn möglich- ihr beitreten, wie es z.B. Belgien, Dänemark oder die Niederlande getan haben. oder indem man den unten stehenden Vordruck mit "Kopieren" und "Einfuegen" in eine eigene E-mail direkt an den Präsidenten umwandelt. the customers of this service. Note: Send E-mail to president@whitehouse.gov. Topic: What is the general topic domain of your message? Affiliation: In what capacity are you writing to the White House? Express approval of the efforts on the side of the US Government to reinforce UN control of the weapons of mass destruction in Iraq. The arms control agreement between the UN and Iraq allows President Saddam Hussein to further impede the inspections and to continue developing weapons of mass destruction. Leaders of other countries with similar ambitions, as we see President Saddam having, might feel encouraged by this and head in a similar direction. Efficient controls on these weapons is in the interest of all countries on this earth, also in the interest of Iraq. In dealing with this problem of development and proliferation of weapons of mass destruction, Germany should, as to our opinion, not only continue to support the coalition formed in view of the crisis in Iraq but should actually join it if possible, as did e.g. Belgium, Denmark or the Netherlands. will be sent to you via U.S. mail. You do not need to fill in both fields. Last updated: August 7, 2012 .